Note: This post was written by Joe Mandato and was originally published on his Medium page on October 13, 2017 - as an investor in Next Coast Ventures, he agreed to let his work be republished on E2E. Joe is the Managing Director at De Novo Ventures & Senior Advisor to Mainsail Partners. You can read more E2E content on board management here. Innovators are consumed with crossing the chasm, but when they take other people’s money they also need to practice good governance — here are six governance principles they can rely on. I served on the board of a company that was nearly destroyed by poor governance. The co-founder and CEO resisted the input of board members, avoided recruiting an experienced world-class board member, allowed the board to be stacked with rubber-stamp investors, and spent many millions of dollars on a failed strategy. Only after three years of this did the board terminate him. Innovators, you can easily take early action to avoid such a fate. But you’re often so consumed with the winner-take-all mantra of the tech industry that you dismiss the simple practices of good governance. In an attempt to reverse this culture-run-amuck, I want to offer up six nuts-and-bolts principles that I believe constitute strong board governance. 1. Know the board’s duty. Venture-funded companies often operate under Delaware corporation law. Under this law, directors must exercise their “duty of care,” which is defined as the degree of care an ordinary person would use when making key decisions and to obtain all reasonably available materials and inputs before making such decisions. Directors also must exercise their “duty of loyalty,” which requires them to act in good faith and in the best interest of the company and all shareholders. Innovators who are taking other people’s money must a priori understand that the board has a fiduciary obligation to take actions that will not only create shareholder value but also maintain the health and viability of the enterprise. This applies from day one of the creation of a board. Investors expect board seats at the time of their cash investment. Knowing this, entrepreneurs should ensure the remainder of the board, beyond investors, is diverse and consists of people with the skills, expertise, and contacts for company success. What are the biggest opportunities the company should pursue and the biggest challenges the company needs to overcome? What skill gaps exist at the board level for addressing these opportunities and challenges? Fill gaps accordingly. It’s straightforward, but companies rarely approach it that way. Take Theranos, for example — two of its early board members, George Shultz and Henry Kissinger are long on pedigree but short on relevant experience. Less pedigree and more experience would have helped co-founder Elizabeth Holmes as she navigated growth challenges. At a minimum, an early stage company should have a lead director who can strongly balance the founder and CEO, but I prefer full separation of the CEO and chairperson roles. Also, put in place a committee structure that includes compensation, audit, and governance committees, each chaired by a director with relevant experience and interest. Create ad hoc committees to deal with specific issues such as financings, IPOs, and acquisitions. I recall that as a director of and investor in Avedro, a company that markets a device to treat eye diseases, I was duly impressed when its CEO, Dr. Reza Zadno, early in his tenure recruited a world-class, former public company CFO to head up the board audit committee. 4. Ensure the board chair sets the board agenda. · It would have been even better if . . .
After you offer introductory comments such as the above, cover sales and marketing, key performance indicators, cash and capital needs, people, and product development. End with an executive session to discuss the CEO, items management must address at the next board meeting, the meeting itself, and the board itself, including gaps that need filling. I’ve seen some CEOs stick to an agenda template so rigidly that they don’t leave time to discuss critical issues facing the company. “Critical Issues” should be an agenda item for all board meetings. Lead discussion and debate on these issues, even if it requires going past time or scheduling a special meeting. Boards of young companies need to meet more than quarterly because big decisions come frequently; the board should convene every two months (or possibly quarterly with mid-quarter conference calls). Also, hold committee meetings pre-board meeting and as often as necessary. Karen Zaderej, CEO of AxoGen (AXGN), always put the eve of board meetings to productive use by hosting a board dinner that included her executive team. These working dinners, which addressed a single company topic in depth, enabled executives and directors to get to know each other, while going deep on a single issue. I was always impressed that the selected topic received ample board attention and input (I was a director until 2016, and I remain an investor). Karen also engaged the board with specific projects and paired board members with executives on functional teams to jointly provide input on the company’s strategic plan. She put the quality and experience of directors to excellent use. In managing the board, it’s also very important that the chair hold directors to their responsibility of evaluating management and leadership, including the board itself. The board chair or lead director sets the tone. A board’s words and deeds need to demonstrate commitment to being an ethical board and operating in an environment of truth, trust, and transparency, even and especially in the midst of driving results. Period. Uber is a counter example of this. Founder-CEO Travis Kalanick hardly established a culture of truth, trust, or transparency, and the board let him get away with this, only eventually dismissing him, but far too late. Those are six principles that in my experience form the nuts and bolts of venture-backed company governance. They counterbalance the mandate to develop a technology quickly and own the market. I want to end on a high note, an example of great governance. In 2011, Sid Satish founded Gauss Surgical, a developer of a software platform for transfusion management in a hospital setting. (I was an early investor in the company.) Satish wanted the company to have a positive impact in a large market, and he made his personal standing a secondary consideration. He recognized his skill gaps and formed a sophisticated board; recruited Jay Watkins, a medical device entrepreneur and investor to act as a coach and independent director; and worked with Dr. Milt McColl, a former Boston Scientific executive, as his chairman and CEO. Satish and McColl formed a team that raised capital and released the product to the market on time and on budget. Satish accepted McColl’s leadership, coaching, and when the time was right, Satish took over as CEO. Gauss today is in the market, enjoys revenues and significant usage and is on its way to becoming a leader in transfusion management. My thirty years of experience has shown me that innovators like Satish, who lead early and often regarding the six governance principles, are far more likely to grow successful companies than those like Kalanick, Holmes, and others, who flout them. 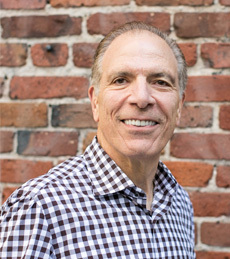 Joe is the Managing Director of De Novo Ventures in the Bay Area. Prior to joining De Novo, Joe served as Chairman of Confer Software, a developer of software. He also served as President/CEO of Origin Medsystems, and co-founded and served as CEO of Gynecare, which was acquired by Johnson & Johnson. Earlier in his career, he was CEO of Ioptex Research. He began his career in healthcare as a Captain in the U.S. Army Medical Service Corps. Joe received his Doctor of Management from Case Western Reserve University, and serves on its Board of Trustees. He also sits on the boards of Axogen, Endogastric Solutions, Facet Solutions,Hansen Medical (NASDAQ: HNSN), InSound Medical, M2 Medical, Tear Science, Inc. and WaveTec Vision Systems.